Here are the five top posts that are trending on Tech & Learning’s Live @ ISTE 2016 social media hub. Our editors are curating the most insightful, and sometimes plain wacky posts, and are including a stream of keynote and luminary video interviews before, during, and after the show. The T&L ISTE double issue is out! 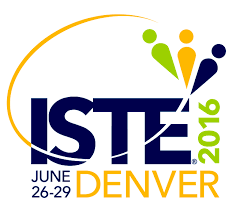 Live @ ISTE 2016 — See what's trending!